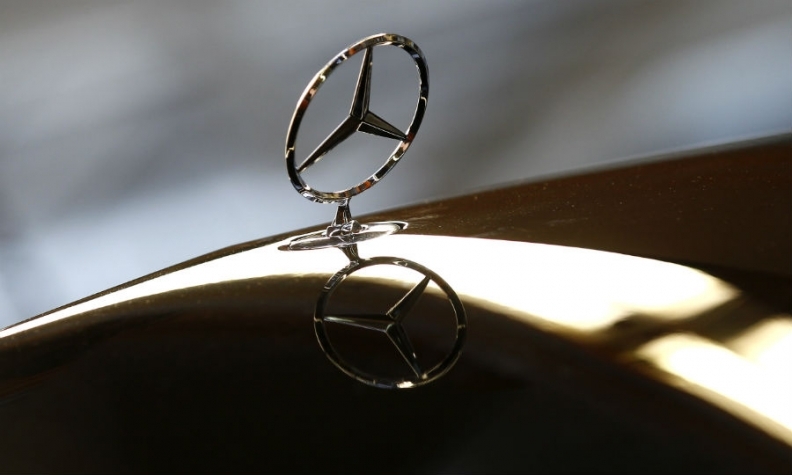 MUNICH -- Daimler reported a 10 percent rise in third-quarter profit, buoyed by robust demand for Mercedes-Benz cars in China as the brand rolls out the new E-class sedan. Adjusted earnings before interest and taxes increased to 4.01 billion euros ($4.37 billion) from 3.66 billion euros a year ago, the company said today in a statement. Daimler stuck to a forecast of earnings this year being "slightly" higher than 2015's 13.8 billion euros but was more cautious on its expectations for sales. Daimler now predicts revenue to remain flat compared with last year. The company had previously forecast a slight rise. While Mercedes is on track to overtake BMW's namesake brand in global sales for the first time in more than a decade, the automaker is under pressure to maintain profitability as spending to develop self-driving and electric-vehicle technologies surges. At the same time, Daimler, also the world's largest maker of heavy-duty vehicles, is battling with declining demand in key truck markets. Adjusted for one-time charges such as recalling cars with faulty Takata airbags, operating profit at the Mercedes-Benz Cars division, which includes the urban-focused Smart brand, surged 23 percent to 2.66 billion euros in the third quarter. Its return on sales widened to 11.4 percent from 10.4 percent a year earlier. Deliveries of Mercedes cars jumped 12 percent in the first nine months of 2016, bolstered by a 30 percent surge in China as SUVs such as the GLC woo new buyers. Earnings at the truck division, which cut its profit forecast in May because of lower demand in the U.S. and Middle East, tumbled 37 percent to 510 million euros. Truck deliveries dropped 24 percent to 97,100 vehicles in the quarter.